There is no better way to honor fallen officers than to reduce law enforcement fatalities. 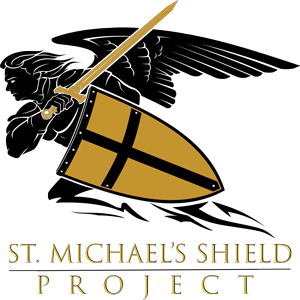 ODMP has partnered with the St. Michael's Shield Project (formerly the Armor of God project) to make bulletproof vests available to LEOs who are not issued this potentially life-saving gear. St. Michael's Shield has provided over 2,100 lightly used vests to law enforcement officers throughout the world. There have already been two documented cases where these vests have saved the lives of recipients. Actively serving law enforcement officers from any agency are eligible to request a vest (employment verification is required). For more information about proper vest selection and fit, please visit the Justice Technology Information Center's website PoliceArmor.org. Did you know? Your agency's new or used surplus vests and other safety equipment can be donated to St. Michael's Shield to be given to an officer who currently patrols the streets without one.